Stanley is just now coming out of hiding. Still peeking around corners before he enters a room. He needs to become more playful or tolerant or sociable …or something. My hand mirror is covered in eye shadow. Better it than me…that I know. I have new watercolor paintings for my fridge. But I have fewer Oreos in my pantry…even trade, I suppose. I was schooled in LEGO building. They have really stepped it up a notch since I was a kid! We built a four wheeler and a tree house. We created Lego people at the Lego store…Mine had a blond pony tail and coffee cup. Pretty spot on. I have lived off of junk food for the past 2 days. I just finished a long run…it was most definitely needed. There are rabbit ears on my TV stand…I am watching the Golden Globes. I still do not have a monthly cable bill…That my friends is called a success. The silly putty has cat hair in it…a small price to pay. Did you know it bounces…even on carpet? I have footprints and snow angels in my snowy backyard. That is a first. You can probably guess what happened at my house this weekend. I had visitors. Guests. Small, partying, LEGO building, play-doh(dough?) sculpting, TV loving, cat stalking munchkins. Oh and their parents showed up too. Before they showed up though, I needed to stock my rather bare pantry. So, on Friday after work, while it was snowing, I traipsed to the grocery store. And I bought snacks suitable for children. They don’t dig almond butter, carrot sticks, or roasted chickpeas…They dig Goldfish, chips and salsa, ice cream, bananas. They don’t do coffee, but hot cocoa with extra marshmallows. They do love fruit…that we have in common. So snacks, those are no brainers, but breakfast. I never know what to buy for breakfast. Do we go big or go home? Or just cereal and fruit? Cheerios or Raisin Bran? Bagels? And then what kind of cream cheese? And then you throw kids and their picky palates into the mix and I am at a complete loss…It is quite the conundrum. This time around…Well, I actually planned ahead. And it didn’t take that much planning…so I am betting that you can do this too. I actually know you can do this. 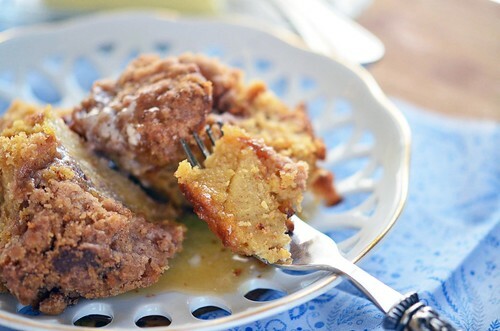 Baked French Toast is the perfect non-planner, plan ahead breakfast. Plus what kid doesn’t love bread slathered in butter and syrup? I used left over sweet potato rolls I had in the freezer, but a loaf of French or Italian bread would work. 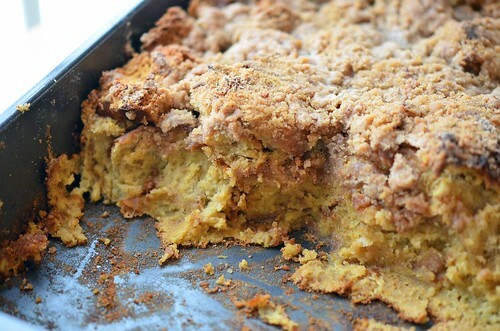 I am dying to try this with cinnamon raisin bread. Or how about stale doughnuts? Yeah, that is where my head goes. Straight to doughnuts. 1 Loaf Hearty Bread. I used leftover sweet potato rolls. OK to use a loaf of french or sourdough…whatever is on hand. Butter a 9×13 inch pan. Tear up the bread into chunks (larger than bite size) and place them in the buttered pan. Set aside. 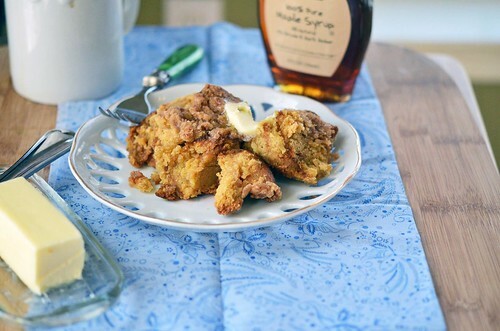 In a medium bowl, whisk together the eggs, cream, whole milk, sugar, and maple flavoring. Pour mixture over bread chunks and cover tightly with tinfoil or plastic wrap. 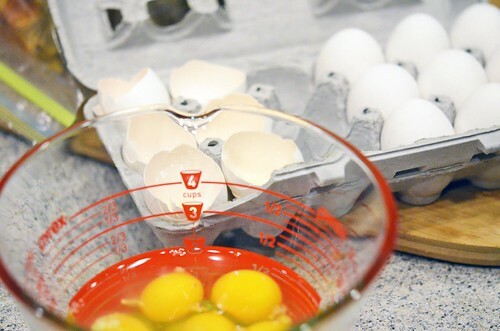 Place in refrigerator overnight or for several hours. Remove from oven and dish out. 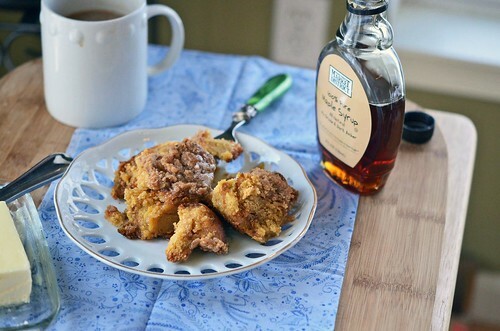 Serve with butter and maple syrup!